O'Quinn's Mill, a historic property, is located right outside of Milledgeville, Georgia. 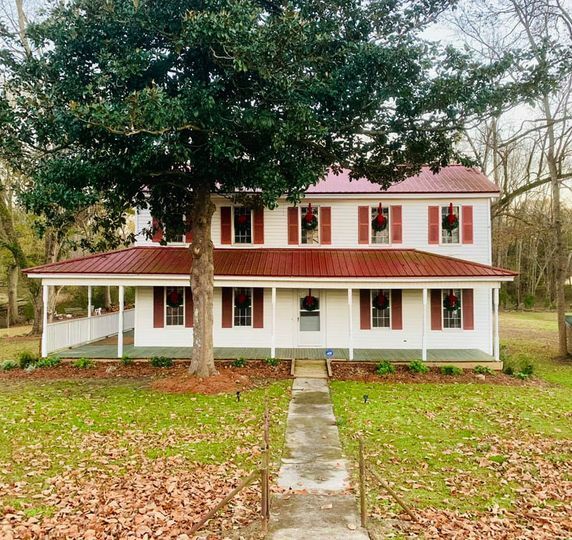 O'Quinn's Mill began in 1807 as a grist mill by Colonel Thaddeus Holt. The O'Quinn family became the owners in the early 1900s. 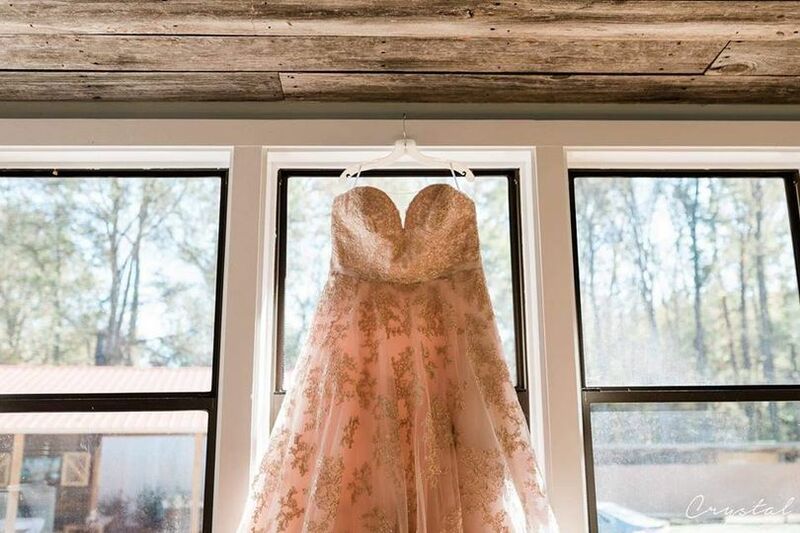 The mill was purchased in 2016 as a beautiful and historic event venue. 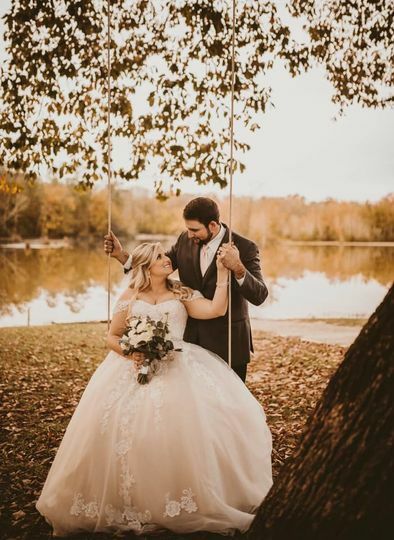 With a variety of unique settings for your ceremony, a vibrant and friendly staff, and exclusive services, O'Quinn's Mill is the perfect location for a wedding to remember. 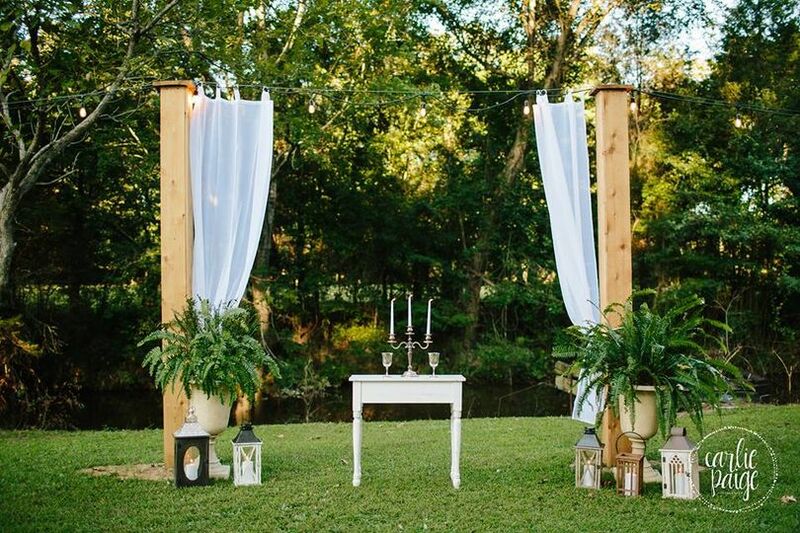 Couples searching for a unique, outdoor, rustic-like setting will find O'Quinn's a peaceful and tranquil location for their event. 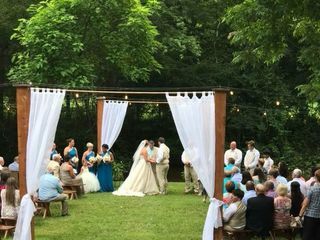 O'Quinns Mill can accomodate up to 150 guests over their various ceremony and reception sceneries. 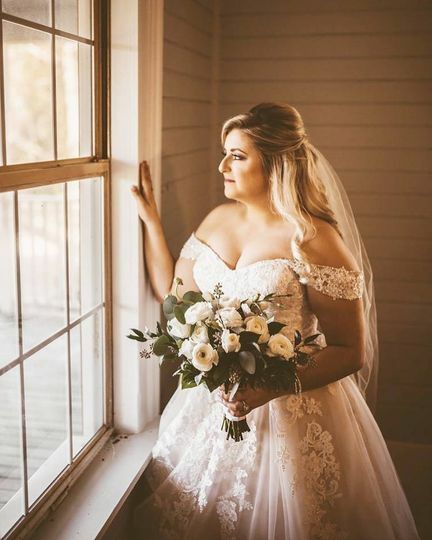 These locations include the Farmhouse Lawn with drapery and lighting, the observation deck at the Historic Mill for smaller ceremonies, and the 1,800 square foot covered pavilion. 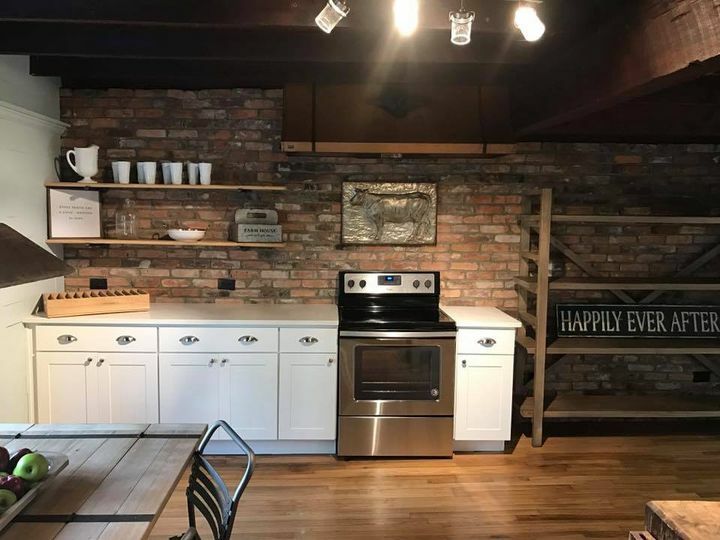 Gather inside the newly restored Farm House, a two-story house with a full, updated kitchen for catering and bridal suite. 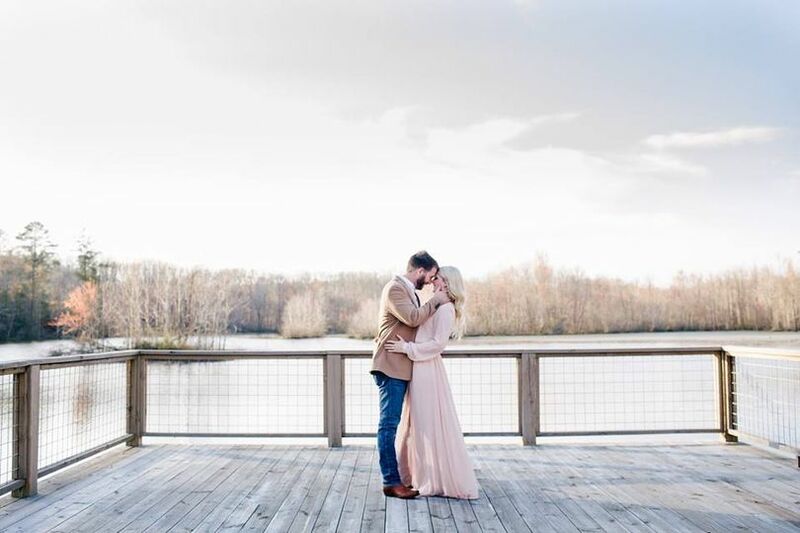 As the couple is planning their wedding, O'Quinn's Mill will suggest several local vendors. 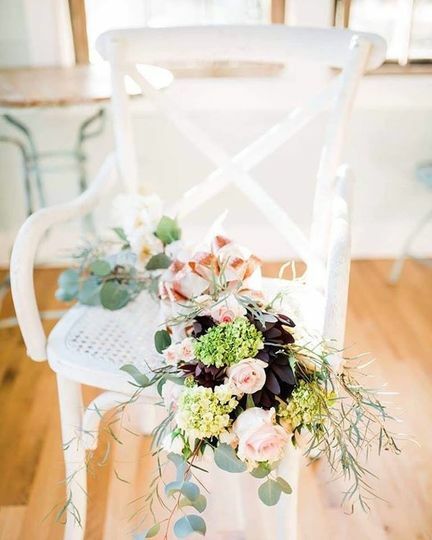 Schedule a tasting with the chosen caterer prior to the event for customizing your unique wedding menu. Dining styles for events include a buffet, cocktail reception, hors d'oeuvres, plated and station cuisine options. For a convenient dining experience, this facility provides linens for client use. 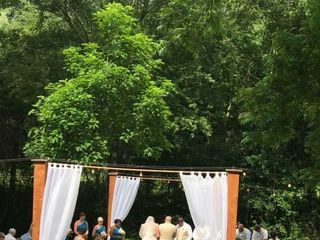 O'Quinn's Mill is an excellent location for hosting private parties of distinct sizes. 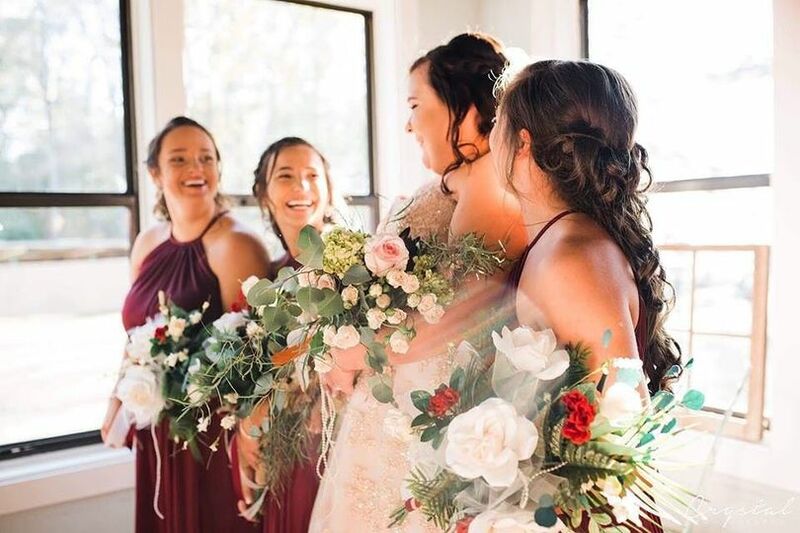 The property can accommodate not only your wedding ceremonies and receptions, but also engagement parties, bridal showers, and rehearsal dinners. In addition, the Mill is ideal for hosting corporate meetings, holiday parties, birthdays, anniversary parties and other unique occasions. 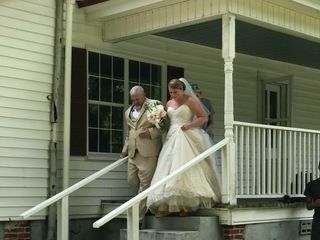 Mr. Greg and Mrs. Kay were the best, they helped make our wedding a true dream! 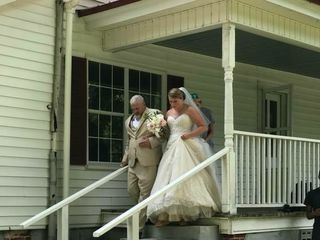 Great experience, and amazing people who own the Mill they are so helpful and makes your wedding go by smoothly! 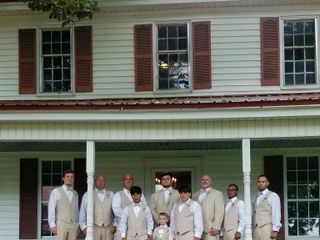 I would recommend O’Quinn’s to anyone who is looking for a venue.